Baby name inspiration can come from anywhere, and plenty of children have been named for popular songs, from Geneva to Elise. Names of musicians are a rich source of possibility, too, from quirky retro names like Otis to swaggering moderns like Jagger. But how about musical terms? We’re mad for nature names, and literary noun names – think Story – have been on the rise, too. So if you’re musically inclined and about to welcome a new baby, here are some possibilities to consider. Aria – An aria usually comes from opera, and that should make it high art. But the small screen hits Pretty Little Liars and Game of Thrones have made Aria – and Arya – smash hits in recent years, propelling this musical name from #957 in 2000 to #40 in 2013. Arya stands at #277. Cadence – More than a dozen years ago, I met a drummer who had named his daughter Cadence. At the time, it seemed so fresh and original and, well, appropriate, given her father’s vocation. Then along came a relatively unknown January Jones as Cadence Flaherty in 2003’s American Wedding, and the spark was lit. Cadence got swept up in the Aiden-Jayden-Kaiden craze, and rose quickly, reaching #199 just five years after debuting in the US Top 1000. This twenty-first century phenomenon has now slipped to #311 as of 2013. Alternate spellings Kadence and Kaydence are also dropping. Harmony – Harmony does double duty as a virtue name – it comes from a Greek word meaning agreement. But Harmony definitely works as a musical name, too, bringing to mind images of barbershop quartets and the like. Legendary namer Joss Whedon gave the name to a cheerleander-turned-vampire on Buffy the Vampire Slayer, but along with Willow and Xander, Harmony’s popularity has extended well beyond the show’s initial run. Harmony ranked #201 in 2013. 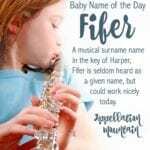 Harper – There’s so much buzz around Harper that her musical associations might not be the first thing that comes to mind. But a Harper is, traditionally, one who plays a harp – an important instrument in medieval music. Harper ranked a sky-high #16 in 2013. 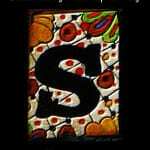 Lyric – Another musical name with pop culture origins, Lyric has fared better than anyone might have guessed. Back in 1994, a young Jada Pinkett wore the name in Jason’s Lyric. In 1995, Lyric debuted in the US Top 1000 at #633. As of 2013, Lyric ranked #274 for girls – and #802 for boys. The slow and steady climb of this name suggests Lyric will be with us for years to come. And, of course, there are literary ties to this name as well as musical ones. Melody – Melody first charted in the US Top 1000 all the way back in 1942, making her the grandma of all musical names. Back in 1963, Melody was the name given to the drummer in Josie and the Pussycats. The comic became a cartoon in 1970, and has been rebooted more than once, meaning that the animated blonde girl in a catsuit might be many modern parents’ first thought. But that hasn’t hurt her. As of 2013, Melody ranked #171. Piper – Like Harper, this name doesn’t instantly bring to mind music – unless it is the opening credits for Orange is the New Black. But once upon a time, a Piper was simply one who played the pipes. Reed – There are many aspects to Reed – surname, nature name. But he makes the musical list because a reed is an essential part of a saxophone, clarinet, or other woodwind – the thin piece of wood that vibrates. Reeds were once made from, well, reeds – hence the name. Reed ranked #320 in 2013, while sound-alike Reid charted a few places ahead, at #259. Viola – You wouldn’t name your baby cello, but the slightly-larger-than-a-violin-sized instrument has a different origin than the given name. As a name, Viola is a cousin to Violet, made literary by Shakespeare in his play Twelfth Night. Viola hasn’t cracked the US Top 1000 since the 1970s, but she was a Top 100 staple in the late nineteenth and early twentieth centuries. Allegra – Yes, there’s the allergy medication. But before Allegra was the brand name for fexofenadine, it was the name of Lord Byron’s daughter, the name of American ballerina Allegra Kent. 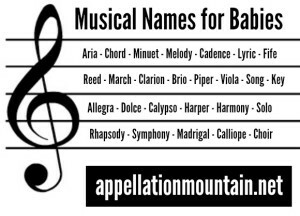 And it makes the musical baby names list because allegro means to play at a fast tempo. Let’s take this one back from the pharmacy! 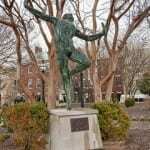 Brio – There’s a sculpture of a dancing youth in Alexandria, Virginia with this name, and it has stuck with me ever since I first saw it. Back then, no one was naming their sons ends-with-o names. Now, with Matteo and Leo and Milo everywhere, could the spirited Brio work? It’s another tempo term – to play “con brio” is to play with vigor and spirit. Calliope – Calliope is the muse of epic poetry, a possible goddess name in the key of Penelope. The muse gave her name to a steam-powered organ, one that originally used train whistles! They’re loud, and associated with the nineteenth and early twentieth centuries, the age of steamboats and traveling circuses. Now most of us probably hear calliope-like music on carousels. 186 girls received the name in 2013, putting her not too far outside of the US Top 1000. Chord – An actor called Chord Overstreet on Glee – what could be more perfect? And yes, it is his real name. Chord fits with short names for boys, like Gage and Luke. A chord is simply a set of three or more notes, and the term comes from accord – agreement, harmony. 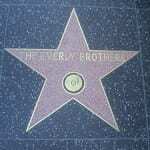 Incidentally, Chord Overstreet has a sister named – wait for it – Harmony. Fife – You might hear a fleeting reference to a Fife and Drum Corps, but that’s only in every day speech if you live in Colonial Williamsburg. A fife is a pipe – as in Piper and Pfeiffer. It’s actually a specific kind of wooden instrument, sort of like a piccolo, and they were big in military bands. In 2002, Patrick Dempsey named his daughter Tallulah Fyfe, but that might be a reference to Scottish history instead of a musical one. Still, in our age of Vale and Blue, why not Fife? Rhapsody – This is an elaborate and lovely name, in the key of Serenity and Reverie. Rhapsody started out as a literary term for an epic work, but by the nineteenth century applied almost exclusively to music. Gershwin’s Rhapsody in Blue and Liszt’s Hungarian Rhapsodies are well known, and make this a dramatic possibility for a name. Arco – In Italian, arco means bow – which could put him on this list. But in music, “arco” means to resume playing in the usual way with your bow, usually after playing pizzicato – plucking. No one is naming their kids Arco now – though I’ve found a very, very few. Still, in our age of Arlo and Leo and other ends with ‘o’ names for boys, Arco isn’t unthinkable. Calypso – In Greek myth, Calypso is a sea nymph, a daughter of Atlas. Homer gives her a starring role in his Odyssey, keeping the hero Odysseus prisoner until Zeus insists she set him free. Musically speaking, Calypso is a type of Afro-Carribean music, with roots in West African and French traditions. Trinidad and Tobago is considered the musical style’s home, and Harry Belafonte is its best known performer – though “Day-O” is a traditional Jamaican folk song, and not calypso. As a girl’s name, it has a certain enchanting quality. Calliope – Calliope is the muse of epic poetry, a possible goddess name in the key of Penelope. The muse gave her name to a steam-powered organ, one that originally used train whistles! They’re loud, and associated with the nineteenth and early twentieth centuries, the age of steamboats and traveling circuses. Now most of us probably hear calliope-like music on carousels. Choir – I’m intrigued by the sound of Choir, though like many in this section, it isn’t used as a given name. Choir started out as an architectural term for the part of the church where the chorus stood, but has long referred to the singers themselves. Clarion – Looking for a name that feels musical, virtuous, and completely unexpected – but surprisingly wearable? Take the classic Claire, and add trumpets. Clarion is originally a term for a trumpet, used from the Middle Ages through the Renaissance. It comes from a happy coincidence of sound-alike Latin words – clario, trumpet, and clarus – clear. A clarion call is a request for action. It’s a daring possibility, but one that fits with Faith, Truly, and Felicity. Condoleezza – Former US Secretary of State Condoleezza Rice had an almost truly unique name – until her accomplishments prompted other parents to name their daughters Condoleezza, too. Condi’s parents crafted it from the Italian term con dolcezza, to play with sweetness. It brings to mind names like Dulcie and Dulcinea. Dolce – Part-high fashion, part-confection, musically Dolce means sweet. How does one play with sweetness? It implies a light, delicate touch. Key – They open locks, they explain maps, and they crack codes. But a key is also found on a piano, and it’s a part of music theory, too. Most of the uses share similar origins – keys open or explain something else. It’s almost a modern virtue name. Madrigal – Way back in 2008, someone suggested Madrigal for Baby Name of the Day. It’s fanciful, yes – but nicknames to Maddie or Maggie, and sounds like a name. In music, a madrigal is a vocal piece, a form that flourished five hundred years or so back. Mandolin – Viola has history as a given name, but Mandolin? Not so much. Then again, Mandolin is just a few sounds removed from the unstoppable Madeline. And this stringed instrument has quite the appealing sound. It’s also a cousin to the balalaika, but even I’m not bold enough to suggest that as a given name. March – One of my favorite, why-aren’t-we-using-it names is March. It’s a month, it’s an active verb, and it’s a piece of music, too – one that suggests March’s martial roots. Originally performed by military musicians to keep the troops moving, marches often have a patriotic feel. Think John Philip Sousa, but also Chopin and Wagner. Medley – It’s a little bit like Hadley, isn’t it? And Medley does occur as a surname, sometimes referring to a clearing, and sometimes with other origins. In musical terms, a medley is created from a few overlapping pieces of music. Minuet – I first heard this in a work of a fiction, a nickname from a nickname in Laura Andersen’s The Boleyn King. She spelled it Minuette, but of course, I though of the type of music, and the accompanying dance. Music – If straight-up literary names like Poem and Fable are possibilities, how about Music? It seems a little obvious – but hey, you can’t stop the … never mind. Let’s just say that while Music is very, very rare, a handful of children have been given the name. Solo – Never would Solo have made this list – except that the lovely Rosamund Pike has a son named Solo. (Now she’s expecting #2! What do you name Solo’s little sister or brother?) Plus, of course, a solo is something you sing. And drink from. But for our purposes today, it’s all about the music. Song – It’s the surname of critical Doctor Who character River Song, and a common surname in Korean and Chinese. There’s something intriguing about this one – like the season Spring, it feels a little awkward to wear, but tremendously appealing at the same time. Symphony – In Latin, symphonia refers to a unison of sounds. The symphony is the composition; a symphony orchestra is the body of musicians capable of performing these works. But I hear Symphony and think of both, and I think many others do, too. I also think of The Supremes’ 1965 smash hit song “I Hear a Symphony” – which makes this a musical name with a built-in lullaby. What’s your favorite musical name? Are there any others that should be on this list? 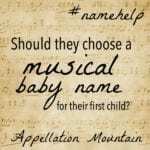 Name Help: Musical Baby Names or Not? Around here, at least, Arco is a gas station. It would look really weird if someone named there kid that. I love everything about this list and they’re all on my long list (I’m a musician). I really tried to sell my husband on Calliope for our daughter due this fall but he wouldn’t go for it. So sad I can’t read the comments! Sorry ’bout that. I think I’ve identified the problem, but the fix isn’t simple … so please bear with me! The comments are here, they’re just … hiding! Sorry – it’s not you! It’s a problem with the site. 🙁 I’m working on a solution now, but it will almost certainly be a few more days. Great post! I really like the sound of Brio for a girl, like a fresher take on Brianna. How about Melisma? It means singing more than one note per syllable of text, and sounds a little bit like a smoosh of Melissa and Charisma! Ooh, and Lyra, which I’m a big fan of! There’s Carmen too. Coloratura (as in a high, showy soprano) is a beautiful word, though I’m not sure it would work as a name. I wonder how the surnames of composers might work – I could imagine Rossini for a girl. I went to school with a girl called Sinatra, which I’m not wild about as a name… it seems a bit like calling your daughter Elvis – the association is so immediate. My favorite name from this list is Symphony. There’s Queen Clarion in the new Tinkerbell universe. Really? How did I miss that? And how much do I love it?! I have a baby nephew who’s called Kadense. I’ve not asked his mom why they chose the name, though, or this specific spelling. Others I like from the list include Allegra (long a favorite) and (surprisingly) Key. Love the list! My great grandmother was named Viola and my sister and I played the instrument with the same name. I have a sweet spot for Viola. Fife Robertson was a prominent British journalist and television interviewer. But I suspect his first name owed more to the Scottish county. 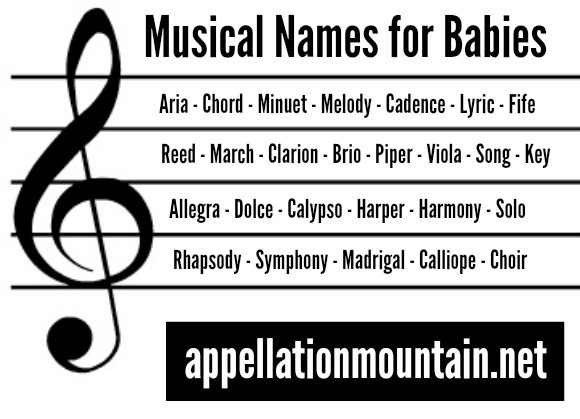 Melody is one of the few non-traditional names I’d consider, along with Aria (plus Amber and Saffron).